Partial dentures and full dentures are two completely different kinds of artificial replacement teeth. As the name suggests, a partial is smaller in size than a full denture. Essentially, a partial denture is designed to replace missing teeth if only a few teeth are not present. In cases where a complete set or row of teeth is missing, a full denture is the logical choice between the different types of dentures. Partial dentures are different from full dentures but are designed with the same goals in mind: to assist you with eating, speaking and improving your smile. 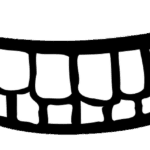 A partial, which is made from either a metal alloy or acrylic plastic, is typically held in place with a series of tiny clasps that either fit alongside or wrap around existing teeth. In some cases other methods are used to ensure the clasps are connected to the bone structure in some way to hold the dentures securely in place. There are a number of reasons why dentures, and different types of partial dentures in particular, are chosen. For example, they are used mostly to replace missing teeth but have been known to improve eating habits by enhancing the chewing action. Partials have been proven to aid in increasing self-confidence and will improve dental and oral health. They can improve the health of remaining teeth, prevent various jaw conditions, improve speaking ability, create a beautiful smile and are an affordable tooth or teeth replacement solution. Full and partial dentures are easy to care for but require special treatment compared to regular teeth. While brushing teeth is an easy routine to follow, toothpaste is abrasive to dentures. They require a regular brushing with a soft bristle brush using a mild soap or dish washing liquid. Dentures should then be rinsed off and gently pat dry. As they can be broken or cracked if dropped or knocked off of a counter-top, dentures should be kept in a safe place when not in use. It is also during this time they should be left in a tray with a cleaning solution. How Much Do Partials Cost? There are many factors to consider when determining the cost of partial dentures. 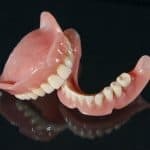 Whether they are made from metal or acrylic and how many are required and how they will be mounted all have a part to play in how much partial dentures will cost. Generally speaking, removable partials can cost between 3-hundred and 18-hundred dollars each. The dental examinations, impressions and follow-up visits are not included in this pricing. 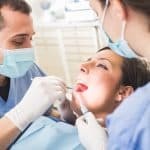 How Long Will Partial Dentures Last? A number of variables will determine how long a set of partials will last. Provided they are properly taken care of, chances are your partial dentures will last a reasonable amount of time without becoming damaged. However, since the mouth continues to change, there is a possibility that partials will not fit properly over time. This is one of the common problems with partials. Another problem with partial dentures is that the clasps that hold them in place may also become damaged over time and need replacement. On average, and with proper dental care, a partial should last around five years without serious repairs or changes needed. Partial dentures require regular check-ups by your dentist. 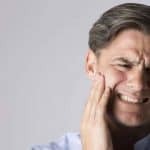 The examination, which includes a close look at your mouth, assists your dentist in monitoring both your mouth and dentures and catching any kind of issue before it develops into a problem further down the road. 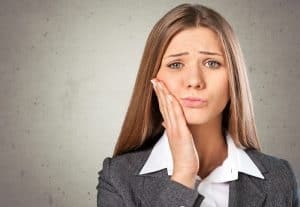 Small concerns could become serious to the point where gum disease or tooth decay may form if not checked on a regular basis. Sometimes a change in the jaw line may result in the need for an adjustment to the denture. This procedure is called a realignment which is actually a regular maintenance procedure required by most denture wearers. It is typically an annual function but is mostly determined by how much the mouth changes over time. Without denture realignment the wearer risks having their dentures not fit properly which may lead to various problems if not corrected. Regular checkups are required to ensure changes to the mouth do not result in poorly fitting dentures. Should this happen, a dentist can perform realignment or an adjustment to correct the problem. When handled with care and properly cleaned, partial dentures can last about five years without replacement. They are intended to be replacements for missing teeth but also serve a greater purpose including helping in eating,speaking ability, and increased confidence. So with a little care, your partial dentures should serve you well.